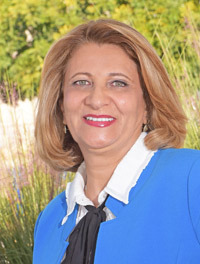 Dr. Hamidi is a graduate of Isfahan Medical University in Iran where she practiced medicine for 18 years. Dr. Hamidi moved to the United States and attended South Baylo University in Los Angeles to study Oriental medicine. Dr. Hamidi is a board certified Acupuncturist and Herbologist, and has been practicing for over 10 years in Southern California. Dr. Hamidi believes the one thing the body does better than anything else is to heal itself. She assists her patients in this process by removing obstacles to that healing through balancing the body’s resources and strengthening areas that no longer function at optimal levels.